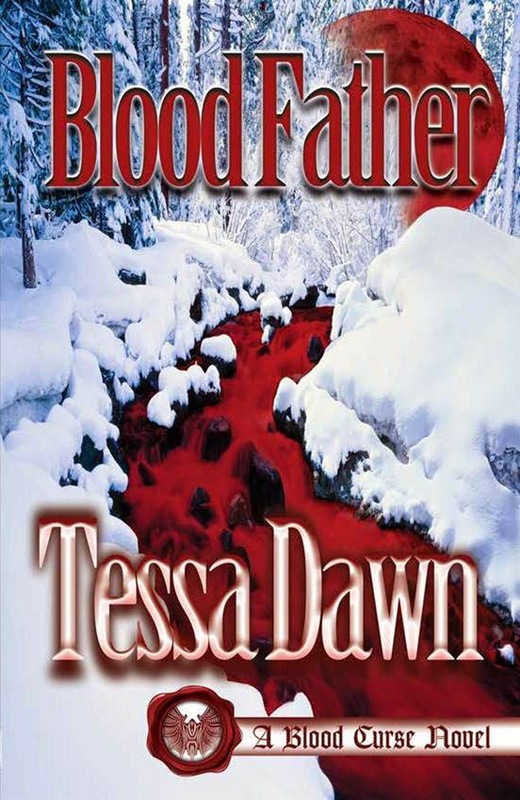 Author Tessa Dawn : Welcome to the official release of BLOOD FATHER! #3) Rachel Guerin (3rd place-BCS mug and pen). Dear Winners, please send an email to author@tessadawn.com with "contest winner" in the subject line. If you won an autographed copy, provide your shipping address. If you won an ebook, specify your preference for Kindle or Nook and provide the email address you would like your ebook sent to. If you won a mouse pad, specify Blood Shadows OR Blood Redemption. Thank you! (*Note: if you don't see the "Join this Site" icon or can't post, it's likely because you're using Internet Explorer as your browser. Please try another search engine -- Google CHROME is available as a free download! :-) Thanks! 1. Click Comments at the bottom of THIS post. Then scroll down to the very last post you see & fill out the comments box. 2. Click on the word "reply" beneath any post (this will open a comments box). Type your comment and click "publish." First Place: FREE Autographed copy of Blood Father. Second Place: FREE eBOOK copy of Blood Father. Trivia Winner: FREE Autographed copy of Blood Father (see contest below). The winners will be chosen randomly at midnight tonight, and their names will be posted on the author's Facebook page – AND on this BLOG – tomorrow: June 13, 2014 by 10 AM (MST). Please check back to see if you've won. If you have, send an email to author@tessadawn.com as soon as possible to claim your book and exchange shipping information. THREE: (Trivia Contest) Be sure to keep an eye out for the TEN hidden Blood Curse Series Trivia Questions posted throughout the day ~ the first reader to answer all ten questions correctly (by posting a time-stamped answer beneath each question) will win another free autographed copy of Blood Father. This year's contest will be managed by my administrator ~ Carrie. "May the rivers run crimson with their blood." NOTE: To everyone who is HAVING TROUBLE VIEWING THE BLOG POSTS TODAY! You guys are simply and purely...awesome. The amount of support and good-will shared to day was truly heart warming. The book came out. Readers found it (eventually) -- what was happening with technology on June 12th??? -- and in the end, it was just a perfectly imperfect day :-). And here's to each of you! Thanks, Rebecca! And no worries -- the party is happening tomorrow :-). I'm just up late getting everything ready. (BTW, I moved your first comment down, but you are definitely entered in the contest now!) Thanks for the well-wishes. Cheers! I JUST WANTED TO SAY CONGRATS TESSA ON ALL OF YOUR HARD WORK. I LOVE THESE BOOKS AND YOU ARE BY FAR MY FAVORITE AUTHOR. Good afternoon everyone........ i'm super stoked just like everyone else here lol i can't wait to get my copy. being a retired vet, i have lots of free time to read ..thanks Tessa for making my day interesting. Once i got out of the military, my mom introduced me to your books and i went crazy lol. i have never read a better book. I can't wait. Congrats on the new release! Have you gotten your copy yet? I'm so excited to start reading tonight! Congrats on the new release! I'm just finishing up Redemption now, and then I'm going to sleep! Tomorrow night cannot come fast enough to get my read on! Good luck to you Donna! Have you started reading yet? So HAPPY HAPPY HAPPY! CAN'T WAIT TO DIVE IN AND SEE HOW KAGENs STORY UNFOLDS... CONGRATS TESS! THANK YOU FOR THIS WONDERFUL SERIES! Happy reading to you, Aryonna!!! I am holding BLOOD FATHER on my iPad in my greedy hands and with a coffee as my companion, am now sitting down to read! Great work, Tessa! Happy reading!! I can't wait to get my read on tonight! I just got BLOOD FATHER for my kindle last night!! Whoop!! Have you started reading yet? Went on Amazon Blood Father is only available in Kindle format.. Really want paperback to add it with the others.. I'm very excited about the new release. Can't wait to read it. WOO HOO...congrats Tessa I know we will ALL love the new installment of Blood Curse series! Loving me some house of Jadon!!! Happy release day! I can't wait to sink my teeth into Kagen's story! I can't wait either! Feels like we've been waiting years! Congratulations on your release day! I have been anxiously awaiting Kagen's story for so long. I was behind on my reading and just finished Blood Redemption last week so I am all ready for Blood Father. Just downloaded it to my Kindle and I know what I will be doing the for the next few days. Unfortunately they won't let me read all day at work no matter how much I try to explain how important it is to find out what happens to Kagen and their father!! I have kids that are awfully demanding like little bosses. Surely, bosses of any size and shape have to realize we need to read. Apparently, they just don't get it. Happy reading to you Debby! Amy I have 3 girls, 5 months, 2 years and 7. Two of the three are sick right now so I have to wait until bedtime to start reading and it's killing me! Nice to see you, Jerri. :-) Thanks for stopping by! Holy speedy reader, batman!! Did you sleep at all? Happy Release Day!! Thank you for the wonderful party. Happy release part! I just got the book and can't wait to read it. I have been waiting for this for what seams like forever. Thank you for your books and the dreams. You are so welcome ~ we all need a little escape now and then :-). Cheers! I can start reading till after work tonight, but at lunch time I think I might start. How needs to eat. Thank you so much, again. Enjoy your release party and have fun. I'm beyond excited for this day! I am going to try my hardest to wait until August to read it so I can read it all in one sitting on my flight from ATL to Portland! =) It's going to be beyond difficult!!!! Read it now, and then re read the series in August!!! Happy release day Tessa!! I can't wait to start reading Blood Father, It's waiting for me on my Nook. I absolutely Love this series....so excited!!! Thank you, Kathleen! I hope you enjoy your nook copy :-) Cheers! Congratulations Tessa!!! Also thank you for the note saying that the next book is planned!!! Can't wait to read this and looking forward to the next one!! Also on the prowl for the dragons!! Ah, I love the idea of dragons, too...but then there's vampires...and dragons...and vampires! So many stories, so little time! LOL :-) Thanks for stopping by :-). Happy release day! Got my book on my kindle and just stated reading this morning. So shortlist wnt to get back to it. #1. Name all the members of the Dark Ones Council, including the current Chief. Oskar Vadovsky (chief), Salvatore Nistor,,Demitri Zeclos, Milano Marandici, I think Stefano was at one time as well. Valentine, Salvatore (my fictional boyfriend) and Zarek. Oh Tessa, you're killing me. I'm horrible at names. Ancient Chief of council: Stefano Gervasi untill his death.Then it was Oskar Vadovsky, (once second in command). Salvatore Nistor, Demitri Zeclos & Milano Marandici. Valentine Nistor was before his death. Salvatore, Valentine, Demitri, Stefano, Milano, Oskar (the new chief), and Zarek. Hi Brooke I am also so excited to read Blood Father. The whole series is great! I am so excited for You Tessa. Your baby Is on the market today, I know you are going through so many emotions today and yet still keeping it together. This Book Blood Father is a long awaited story that only you could have told. You are a master story teller. Thank You for choosing to be a writer! You have provided so many readers a respite from their daily lives into a Whole New World! Happy Release Day Tessa ! So thankful to you again for helping me get the books from my library. Kind of thankful now that I had to wait to start this series. I unlike the others didn't have to wait very long for this next adventure. Finished the books two weeks ago. But my problem now is I don't think I can stand to wait for it to hit my library. I think I will go crazy waiting, so I intend to by this book and donate to libray when finished so others wont have to wait either. This series was sooooo worth waiting for. Can't wait to see what happens for Kagen. You have become my favorite Author and believe me I am very picky. Your talent for putting a story together is in a class of it's own. Thank you for sharing it. Have a great day Tessa. I bet reading them all together like that has been a whirlwind of emotion! Sometimes I wish we could forget what we read so we could go back and re read it. How kind of you Danetta. I used to leave my finished books on benches in train stations and bus stops, It's always a wonderful thing to introduce a new person to an awesome series! Happy reading to you! I don't know what the weather is like by you, but it's perfect here to curl up and read in the sunshine! Happy release day Tessa!! I can't wait to start reading Blood Father, It's waiting for me on my Nook. I absolutely Love this series....I am so excited to start reading it!!! Thank you Tessa for another great read. I finished it last night and loved Kagen's story. Am very excited for the next one, I knew it was Ramsey's turn. wow! You're a speedy reader! I cannot wait either! It's so nice to see so many people supporting Tessa on this release day!! One of my Favorite book series! Love, Love, Love you work Tessa! Never stop! Isn't Great that Ms Dawn already has another book planned. I hope she writes about the BC series for a long time. Aw, bless you, Bridget :-). Thanks! So exciting! I dreamt about this release last night, crazy huh? Hi Jodi Not crazy this is such a great series. I know when I start reading I can't put it down. Isn't it crazy how that happens? I mean...I literally have to force myself to put ANY book in the series down just to get some sleep. Or...in some cases...to go to work...LOL! I have not looked forward to a weekend of reading in AGES!! Morning Tessa! Congrats on the new release. I can't wait to read it! Hi Charlie I think Blood Father maybe her best yet. I can't wait to read it either. Happy release day Tessa! I'm still awaiting my mail man to deliver my copy. Congrats on the new book Tessa. I have been looking for the others in the series at my local stores but have not found them yet. I will keep looking. #2. What specific building is the Romanian University housed in? Release Day is the BEST DAY!!! Congratulations Tessa on EVERYTHING! I'm so happy this day is finally here. Selfishly...because I cannot wait to dive into Blood Father...lol. But more importantly, for you! I know this entire series is a labor of love and I cannot imagine how happy you must be to see it come to fruition! Ahhhhh!!!! Just downloaded Blood Father to my Nook. Only problem, I'm at work. Can you tell your boss you're sick and need to go home and read? Ashley, you will absolutely love it!! Can't wait to read this! Thank you for writing such an amazing series! LOVE them! I Love this series also. There is such depth to the characters and the overall story is so unique. Definitely looking forward to reading Blood Father or continuing my read. I know Kelly it being so unique is what caught my eye and I've been hooked since! I am not usually a vampire fan, but this is the exception. Each character is an individual with their own likes and dislikes. And the description of Dark Moon vale I can clearly imagine. I just love all the little details that go into the whole. Storytelling at its best! LOVE Blood Father!!!! Thank you Tessa! Something tells me I won't be able to answer all these hidden trivia questions.. I've only seen 2 so far and I have not read any of the books so I don't know the answers and I'm not gonna cheat by putting up an answer after reading the replies cuz that's just cheating. Buck T. Have you just started the series? You are in for a real treat. I cannot wait to start reading Blood Father! Why do I have to work? #3. What kind of car does Ramsey Olaru drive? Oh my gosh i am so blogger inept !! 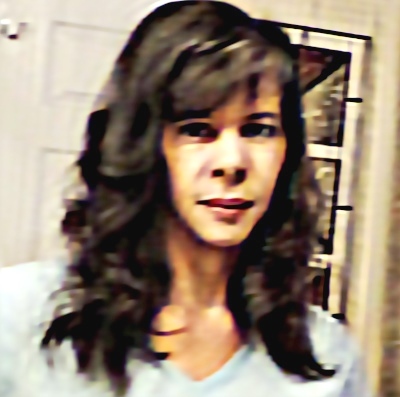 I am also Lori. Blogging is very new to me. I think I went on a blog for the first time about 6 months ago. Thank you, Redamarie :-) Happy Reading! Welcome make sure you look at the previous posts (hint) All I can think about is reading Blood Father. I have gotten excited waiting for the release. Congrats Tessa! Thank you for such a creative and exciting series! You're so welcome! :-) Thanks! Why are some comments removed...? Are they spoilers..because if they are...I don't want to see them. I'm at work and start reading until tonight. I can tell you right now, It is going to be a long night up for sure.